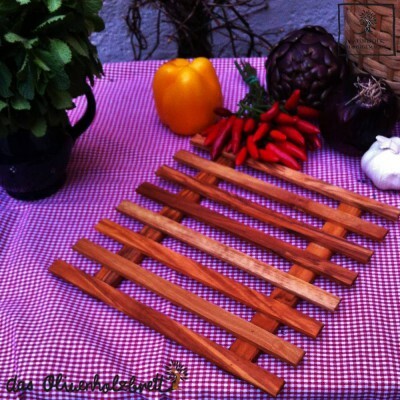 modern trivet for all kind of cookware and bowls. 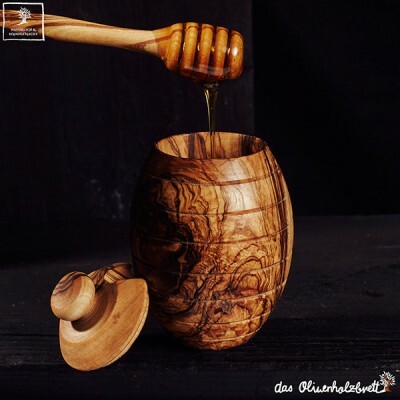 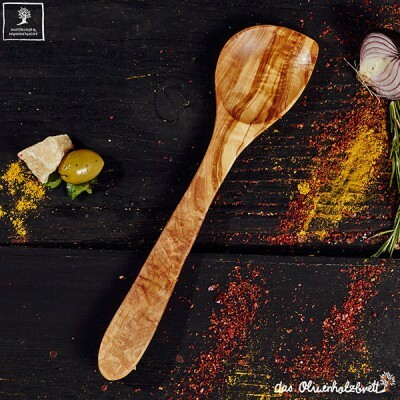 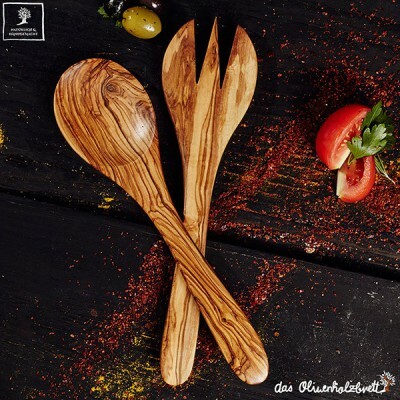 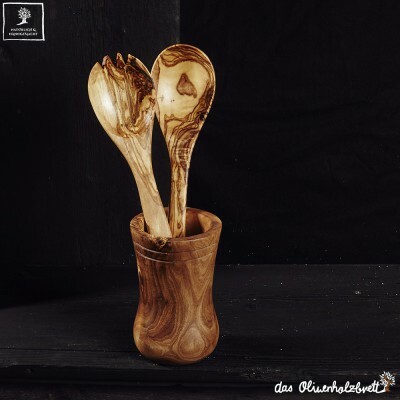 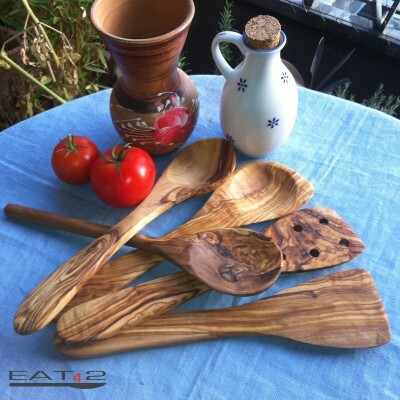 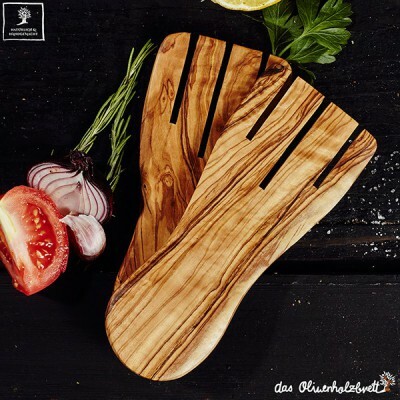 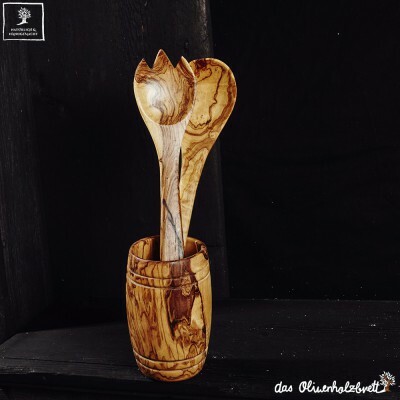 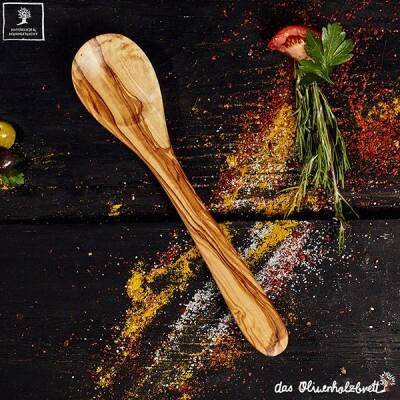 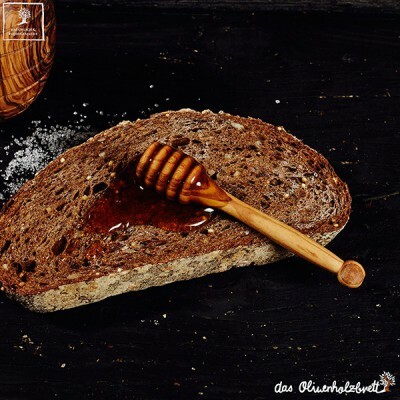 typical olive wood cooking spoon with corner spoon model for cooking all kind of dishes - a standard and must have! 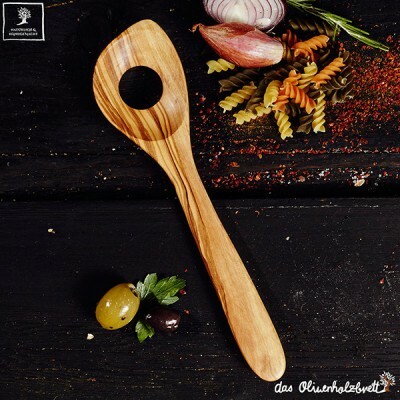 Risotto spoon...special cooking spoon with a hole in the middle of the spoon tofor reducing harshness of stirring soft foods like risotto, rice, polenta and spaghetti. 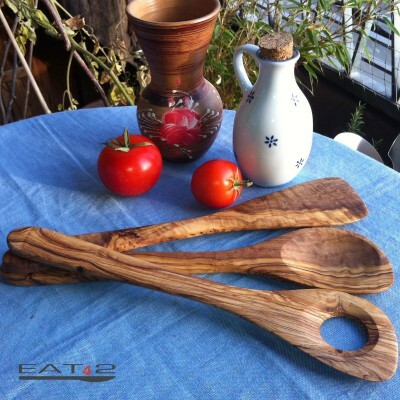 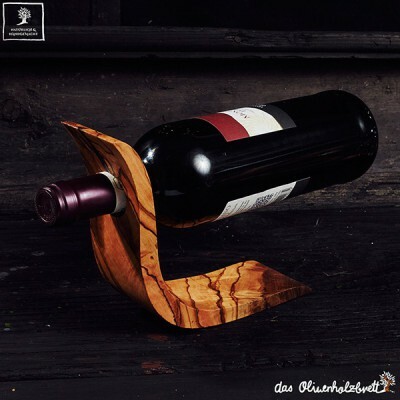 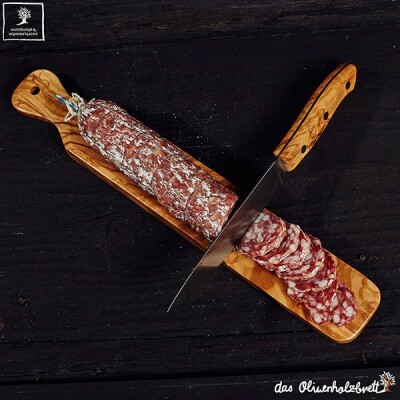 Useful and with a nice olive wood texture. 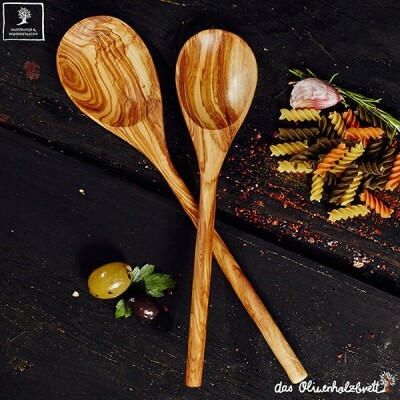 With their bold grain and richly brown - honey brown varied color the salad server is an eye-catcher and perfect for presentation tossed greens, fresh pastas and any kind of side dishes. 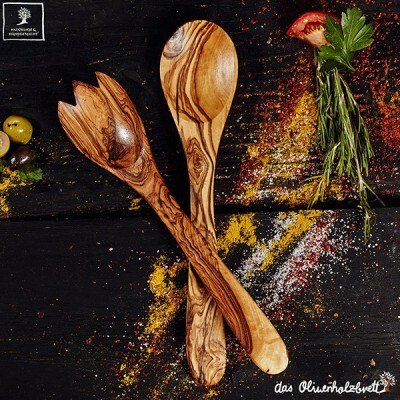 Handcrafted from single pieces of wood, the servers showcase various tones and pattern which makes each piece unique.